503-804-9685. 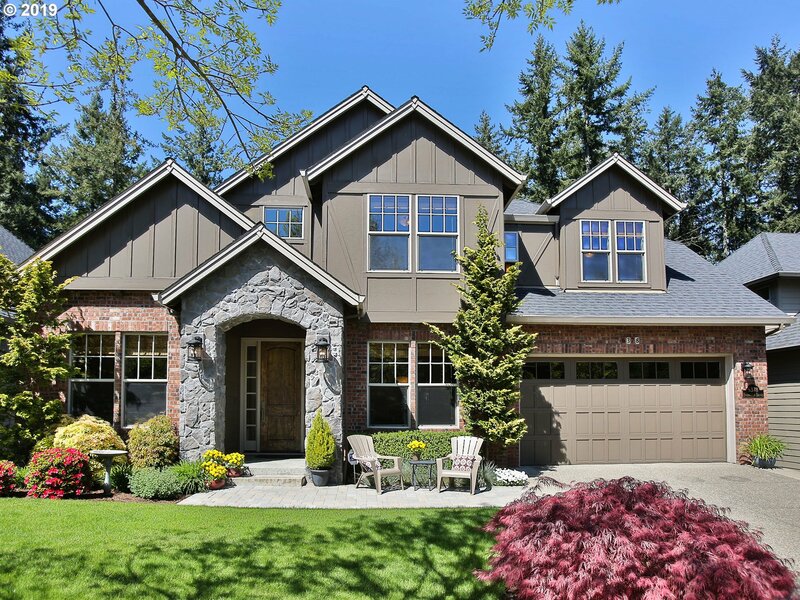 In many cases an appointment will need to be made in advance of viewing any of these wonderful homes within the boundaries of West Linn High School. If you have any questions or would like additional information, please contact me. Thank you. 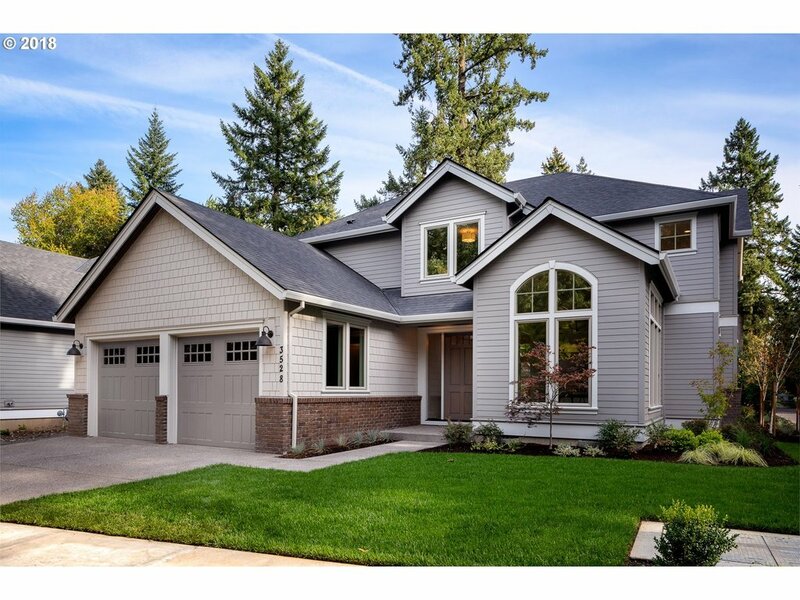 "Stunning West Linn new construction by Silver Oak Custom Homes. Contemporary open floor plan with master on the main, soaring vaulted ceilings and high-end finishes throughout. Large level lot in desirable neighborhood with scenic walking and bike paths. Home features large gourmet kitchen w/SS Appliances, linear gas fireplace, oversized 2 car garage, and large covered patio w/outdoor gas fire pit." 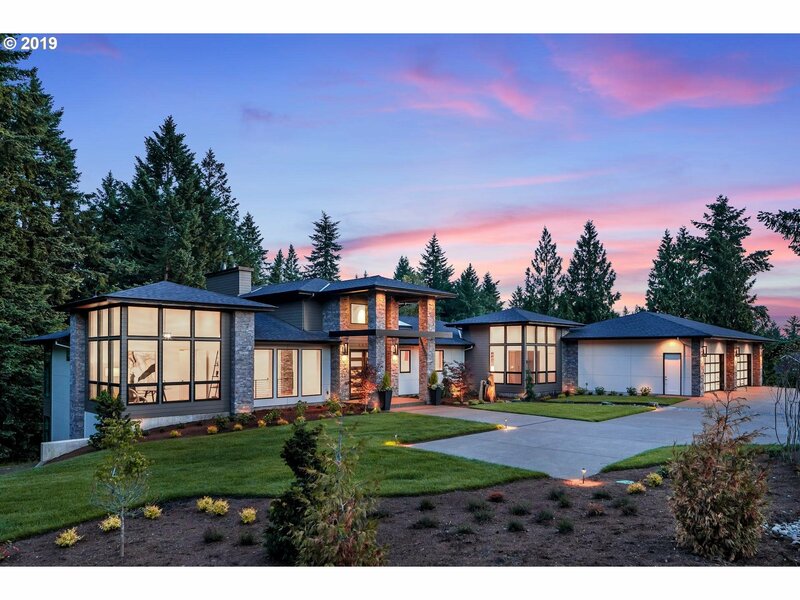 "This highly desirable Rosemont Summit home is situated on .42 Acres of beautifully landscaped grounds & gorgeous views of the Cascade Mountains. Great room design w/ floor to ceiling windows! Recently remodeled kitchen w/ high end appliances including a Miele steam oven. Formal dining w/ trayed ceilings. Lower level games room w/ wet bar, 2 bedrooms, full bath & a covered patio has potential for separate living quarters. Move in ready!" 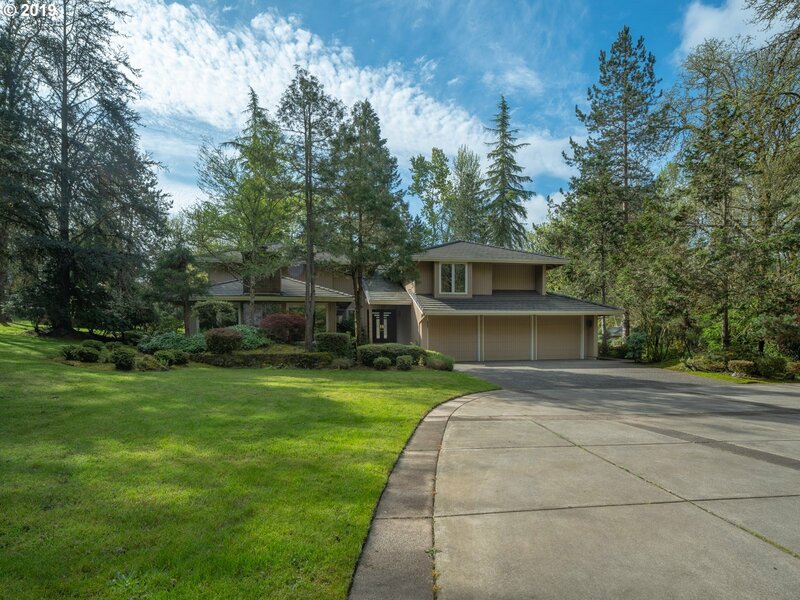 "Wonderfully maintained, immaculate West Linn home. Original owners. Beautifully landscaped yard with a fountain & fire pit. Amazing peek-a-boo views of the Willamette, mountains and trees from all 3 levels. Great for entertaining and multi-generational living w/ 5 bedrooms, 3/1 baths, separate downstairs kitchen with fridge/dishwasher. Amazing storage on all levels. Backs to green space. Rosemont or Athey - your choice! One of a kind!" "DO NOT DISTURB TENANT. Property being sold AS IS. City has approved a 4 lot subdivision. There is one home on the property that can be saved or removed. 3-J consulting did the approvals. Buyer to do due diligence and costing. Incredible view of Mt. Hood from this desirable West Linn location." "Enjoy privacy tucked away on a discreet lot, while still being in the heart of Barrington Heights. Custom-built, one of a kind open floor. Expansive 22' ceilings let in abundant light with grand windows. Floor to ceiling stacked slate fireplace flows naturally through the kitchen backsplash and dining room built-ins. Relax in the backyard listening to the waterfall feature. Backing to Tanner Creek. Open Sunday 1-3!" 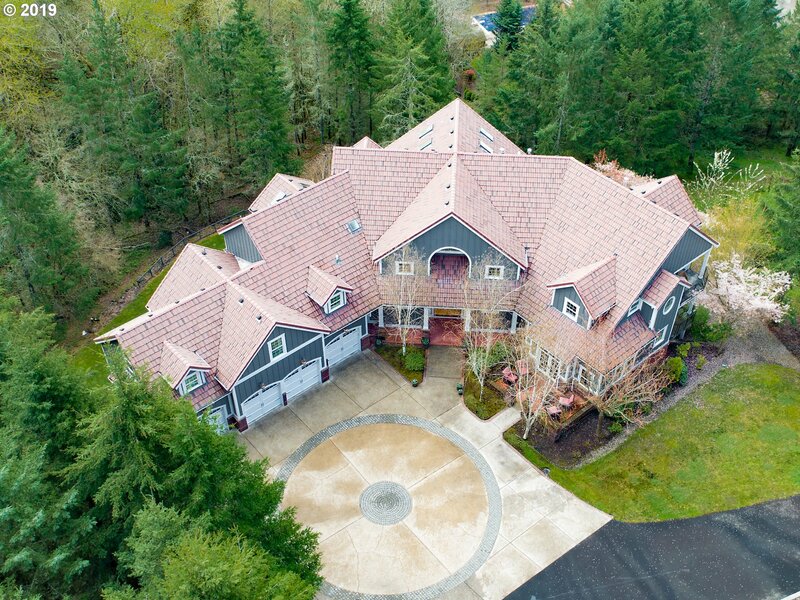 "Gorgeous home in Cascade Summit w/clubhouse, pool & parks, 20,000+ sf treed lot on gated cul de sac. Lives like 1 level w/master & den on main. Lrg wine frig. Newer SS appliances, paint, carpet & wide plank hardwood flrs. Beautiful master ste w/heated tile flrs & dble-sided gas FP. 2 BRs, BA & loft on upper level. Speakers thru-out & huge deck. Extensive storage, oversized garage w/blt-ins & workbench. 4th BR/den does not have a closet." "This remarkable five bedroom home offers stellar territorial views & is situated in the coveted Trillium Creek primary school zone. With a 700+ Bottle, Thermostatically Controlled Wine Cellar, Large Great Room, Huge Bonus Room & Two Covered Decks, this home is a marvelous entertainment center for multiple generations. The modern Kitchen with quartz counters, farmhouse sink & large pantry will satisfy the most discriminating tastes." "Stunning Barrington Heights custom home! Features include hardwood floors, high ceilings, lovely floor plan with Bonus room on main level. Breathtaking high end master suite, two staircases, formal dining, formal living & open concept great room, kitchen-family room. An entertainer's yard - beautifully landscaped showcasing stunning views from interior windows. Oversized 3 car garage, new Pres. Comp roof. Open Sun. 4/28 1-3 pm." "Pristine Barrington Heights 5 bedroom home is an entertainers dream! High end finishes throughout inc. gourmet kitchen, grand living spaces, butler pantry, crown molding, plantation shutters, 4 fireplaces & wine grotto! Spa-like master w/ fireplace & balcony. Spacious bonus room, loft & main floor bed/bath ideal for guests. Private backyard w/ hot tub & water feature. 4 car garage + carport. 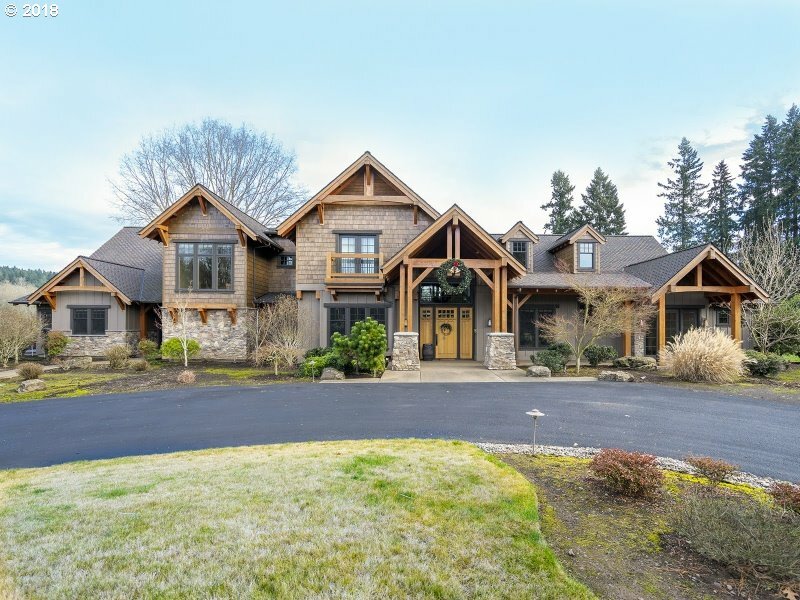 Located in coveted West Linn school district!" "Gorgeous custom home in outstanding area. Down quiet lane. Enjoy peaceful country living close to town. Open floor plan w/ exceptional details & upgrades.5 bedrooms + den & 900 SF Bonus room. Enjoy all that the coveted Willamette neighborhood has to offer. Close to Willamette park w/river access/dock, elementary school & Old Town w/ restaurants, shopping & farmers market. Large 1/2 acre lot w/ manicured yard, water feature & slate patio"
"New price! Beautiful Custom Barrington Heights Home on .41 acre corner lot, w/gorgeous landscaping. High Ceilings in entry with tall windows, & open floor-plan, spacious rooms, dual stairs and hardwood floors. French doors lead to deck & private fenced backyard w/ new stamped patio & fire-pit. Newer roof, int & ext paint, huge bonus room w/wet bar. Wine cellar. 4 car garage." 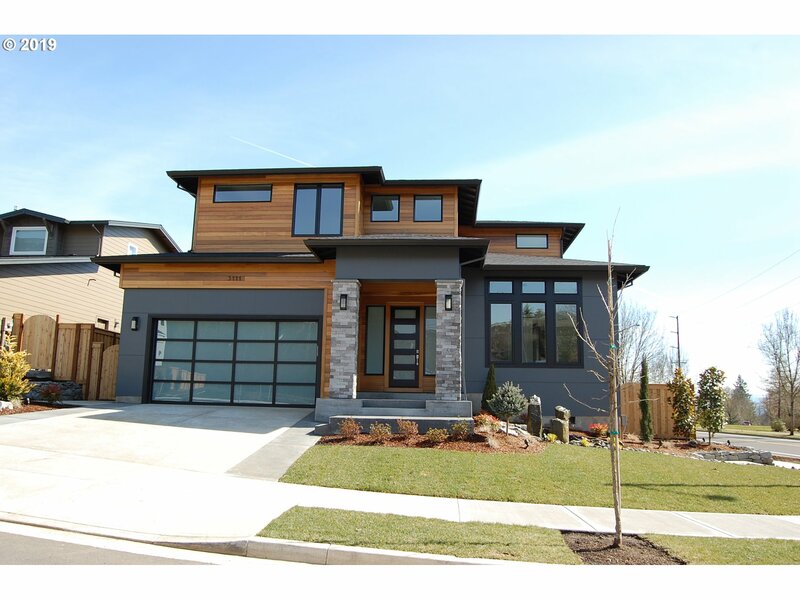 "Beautifully appointed modern home w/sophisticated flair! Spectacular street appeal, ideal floor plan w/amazing Great Room & main level living, wall of windows & abundant natural light, you're wrapped in luxury for high-end entertaining yet comfortable enough for daily living. Two separate living quarters w/their own entrances make multigenerational living or extended guest stays a breeze. Remodeled down to the studs...Home on foundation"
"Serene setting for this remodeled home in West Linn along the Tualatin River. Home sits on a treed .99 acre lot & comes with your dream shop. Room for all your toys + work area too. Shop is 2000 sf plus an additional storage loft(approx 39x25), RV storage & partial bathroom. Home has lots of remodeling & features 5 bedrooms & 4.5 baths. Enjoy the beautiful views & sounds of the river from the large back deck."